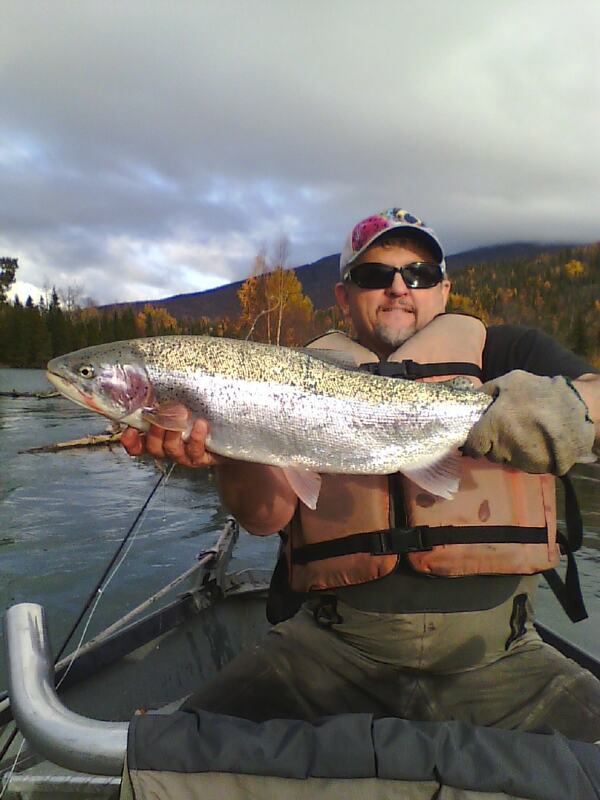 A Float Trip down through the Kenai River Canyon is an unforgettable experience. Flowing through the Andy Simmons’ Wilderness Area of the Kenai National Wildlife Refuge, this beautiful stretch of water drains into Skilak Lake, where an hour’s ride delivers us to the boat ramp at the end of the day. 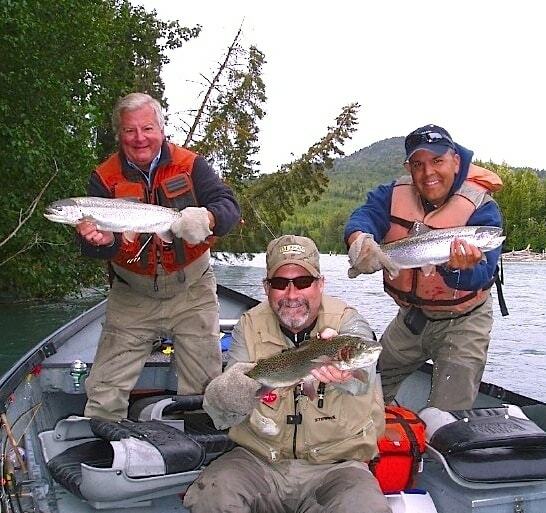 It is difficult to find better BIG trout fishing in Alaska than the Upper Kenai River, fly fishing for trophy sized rainbows and Dolly Vardon. Late August and September these fish gather to feed and fatten up for winter on the spawn of hundreds of thousands ofsockeye salmon. 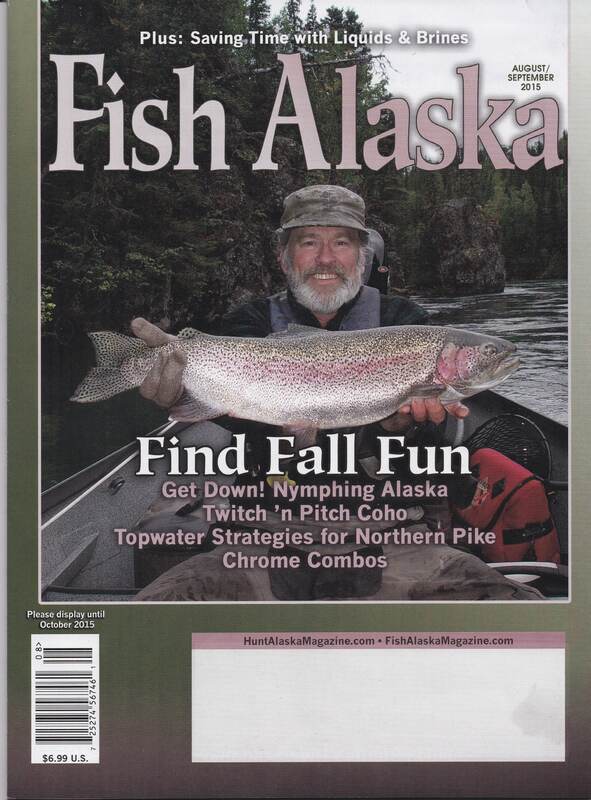 Managed as a trophy class fishery by the State of Alaska Department of Fish and Game, and for an esthetic wilderness experience by the U.S. Fish and Wildlife Service, this mostly catch and release fishery allows only the use of single hook artificial lures. 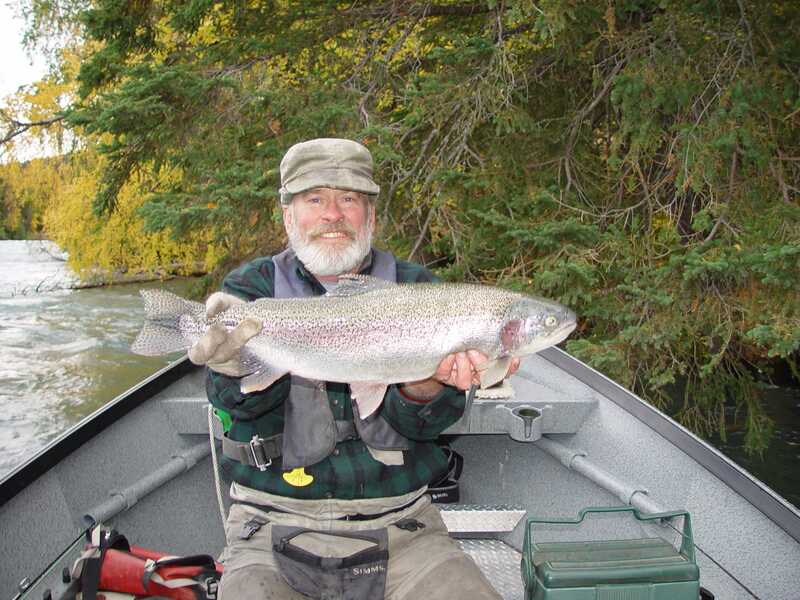 Use of a motor is not allowed on the upper Kenai River. Designed with stand up fly casters in mind, the wide bodied Willie drift boat is a very stable platform. Fly fishers who wish to can secure the boat exclusive of other casters. Ask about thisspecial service. Randa’s has been making the ‘canyon’ our trout float trip of choice since 1987, fishing the river’s boils, fast runs, cut backs and flat braid channels near the lake provide a variety of trout habitat and they can grow to monster size here. 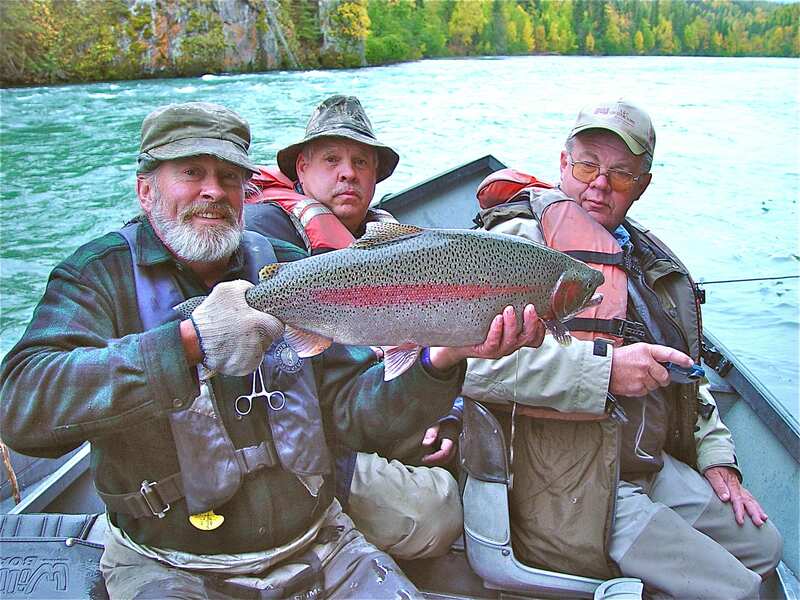 The Alaska State Rainbow trout record was set here near RM 65 in 1978 with a 27.75 pound giant Rainbow trout which held that record until it was beaten in the 1980s by a 44 pound steelhead caught near Juneau. The float trip begins either near the Kenai’s confluence with the Russian River (ending at at Jim’s Landing) or beginning at Jim’s Landing (ending at the upper Skilak Lake boat launch) depending upon weather. The stretch of the river known as “The Canyon” begins below Jim’s Landing. We prefer to do, and will do, this float when weather conditions allow; primary because crossing Skilak Lake’s 5 miles of open water can be very dangerous when exposed to high winds. The final decision for this is your guide’s after evaluating weather forecasts and on site weather observation. Even then there are no guarantees; it is a mile and a half walk or overnight on the beach if the wind blows up waves on the lake. 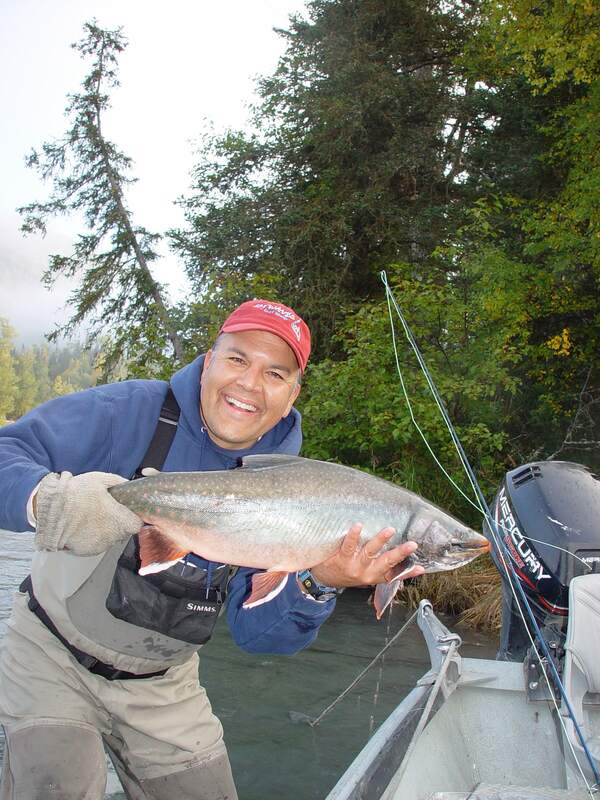 This trip is an all day float on the Kenai; we meet at a prearranged time, typically 6AM, and ends about 4 PM. The lake crossing takes at least an hour. You can expect your day to be about 10 to 12 hours.